Re-organization of space, Mabel Bag, Mini Dresden, Simple Math, Kitchen Window, Knitting, Spinning. I actually got a good bit done! I re-organized, and now have my sewing machine set up on a table that’s at actual table-height, not coffee-table height. This is very exciting. :) The re-organization resulted in some stash culling: find the things I know I’ll never use here, in a de-stashing sale. Mabel Bag & Mini Dresden quilt. I’ve already posted about the Mabel bag, and will be posting about the Mini Dresden on Friday. Simple Math blocks still need to be trimmed, Kitchen Window blocks need to be arranged & sashing cut, etc. Since I’ve finished two projects, I can start two more! 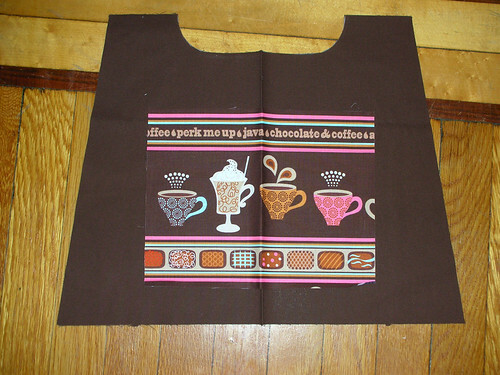 1) I’ve cut fabrics for another messenger bag, which will be a knitting bag for a friend. 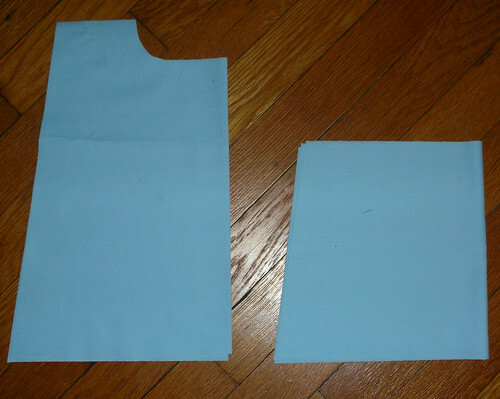 I’m using the Mabel pattern again, but I’ll be adding an interior dividing zipped pocket — wish me luck! I’ve never done this before, but I figure it can’t be impossible to do. For the exterior, there was a panel print in this fat quarter pack that I simply couldn’t resist: it’s going to be an exterior pocket, so it’s visible. 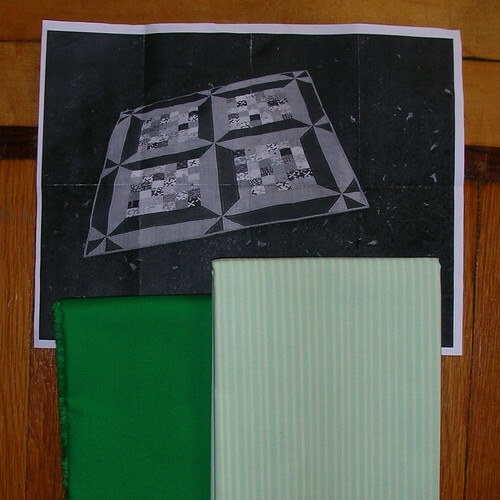 2) My downstairs neighbors just had a baby, so I’ve picked out a pattern for a baby quilt, and am challenging myself to make it entirely from stash. 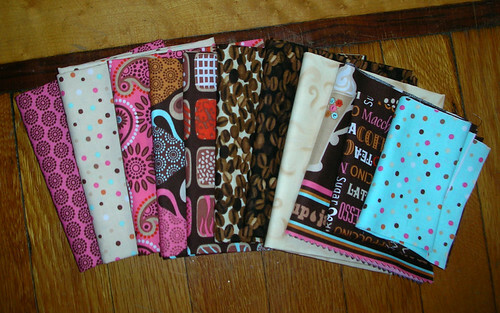 I’ll be using the pattern written up by Audrey of Hot Pink Quilts in her Let’s Get Acquainted blog hop post. All I know so far is that I’m going to be using Kelly green (Kona) and the green Hello Pilgrim stripe for the borders, and pulling the little squares from stash. I’m considering using Elizabeth Hartmann’s suggested interfacing-layout method from her Stamp Collection quilt for these 2.5″ squares. The patchwork parts of this quilt are nowhere near as work-intensive as the Stamp Collection quilt, but they’d still be a lot of piecing. Finish 2 start two more–I like it! The bag is really sweet! Previous Previous post: Reorganization = De-stashing!